It feels like it has been forever since I did a simple post like this where all I did was go to my favorite local patch, Forest Park, take a few pictures of some of the common feeder birds, and share those pictures with the 10,000 Birds audience. Sometimes in the search for the new and the rare I manage to forget about the steadfast and the common. That tendency, coupled with being responsible for a rapidly growing toddler, means that my strolls through Forest Park are much more uncommon then they used to be. And while I miss those walks and being responsible for keeping the feeders filled for a day or two each week during the winter, I appreciate even more hanging out with Desi and watching him learn about the world. Still, it was nice to get out to the feeders by the waterhole for a brief visit this morning and see the woodpeckers, chickadees, nuthatches, and sparrows come charging in for food even though I had not even a single sunflower seed to share. Despite my lack of sustenance the birds still posed for my camera and I hope you enjoy these three shots. Like. And my turkeys are back. I think it’s always nice to see those common birds with fresh wide eyes, just because they aren’t rare doesn’t make them any less attractive. 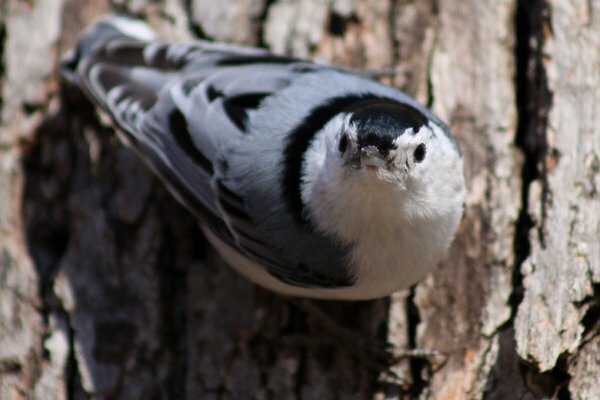 I love the White-breasted Nuthatch pose, that’s golden! I find myself watching my feeder birds longer these days, knowing that soon I’ll be taking the feeders down. 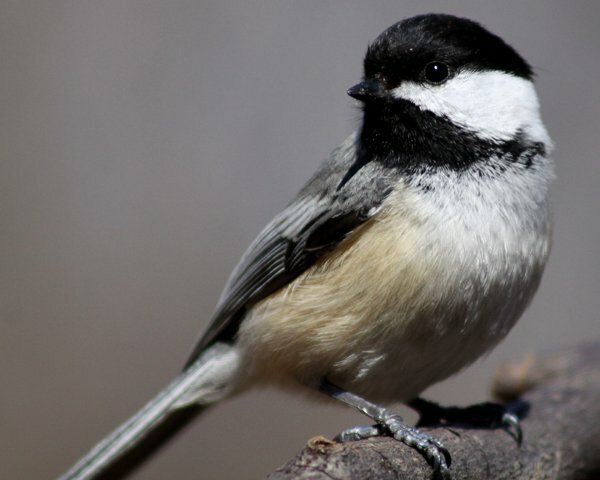 I love my birds, and I find that when I go out to the patio or courtyard to fill the feeders they stick around more than they did in September, sometimes waiting in the trees or peeking out from the roof. Even better, they give joy to my neighbors and my work colleagues. So, let’s hear it for feeder birds! Far from ordinary. Nonono. Forest Park posts have almost always been about warblers. There are no warblers in this one. I don’t like it. At all. I loved Forest Park. 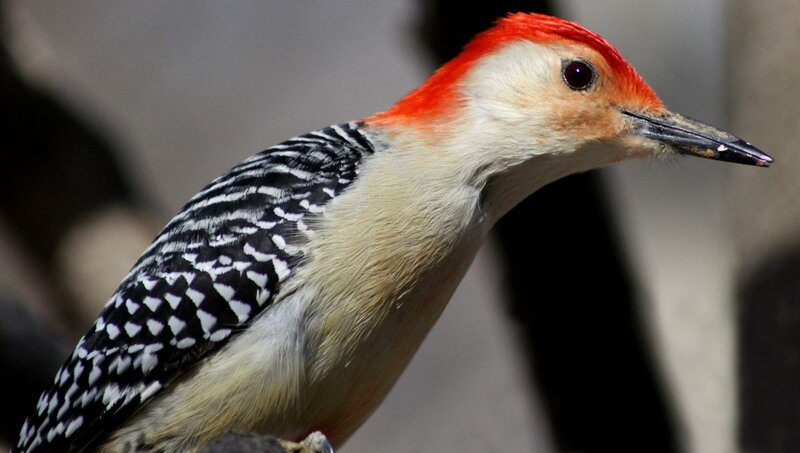 I saw my one and only Red-headed Woodpecker there. @Aunt Bonnie and Dad (Wes): I thought you guys would like this post. @Naomi: I have never seen one in Queens, so you are one up on me! I cut back on the feeding this year to just the waterhole area, and that made it a lot easier (and cheaper & quicker!) to do. Which, as it turns out, was a really good thing considering how much snow we had and how challenging it was to get in there. @Jochen: yes, yes, yes, warblers, soon, soon, soon!